Wilderness Island is an island paradise perfectly positioned in the pristine wilderness that makes up the Eastern side of the Exmouth Gulf. The island is around 1,6km long and 800m wide and features sandy beaches, limestone cliffs, sand dunes, and mangroves. The pristine waters host an incredible variety of marine life including whales, dugongs, manta rays, turtles, dolphins and is one of Australia’s premier fishing destinations. If you are after an unforgettable island stay - Wilderness Island is the place for you. Easy to get to - only 24 Miles from Exmouth. Approximately 15mins by plane or 1hour by boat. The price starts from $250 per night. To find out more, please check out our website. 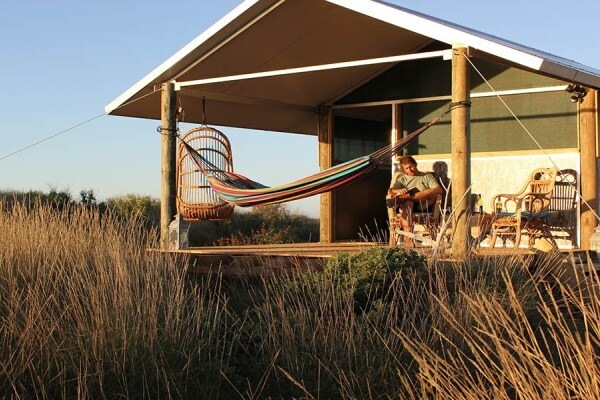 Our cabins offer a �wilderness experience� but with a touch of bush luxury. The simple, comfortable beach front accommodation makes Wilderness Island ideal for that close to nature experience but with all the comforts you need. The island is catered for with the freshest of seafood and all manner of creature comforts to make your time on Wilderness Island a most memorable life experience. The private secluded cabins all feature uninterrupted ocean views and comfortable sleeping arrangements either for couples or twin share. All feature huge furnished decks for you to relax on and enjoy the serenity. The bathroom at Wilderness Island is built into the cliff face right on the beach. Having a hot bath or shower with the high tide right at the doorway is an experience in itself. The whole camp is set up around people interacting with each other. We have no TV, no crowds and no busy schedule here. So take a deep breath and relax, reconnect with yourself, your friends or your family.